Jag tog en examen som civilingengör i datateknik vid Linköpings Universitet 2009 och blev sedan doktorand på avdelningen Elektroniksystem på insitutionen för systemteknik (ISY). Sedan sommaren 2014 är jag istället doktorand på avdelningen Datorteknik på ISY. Mitt främsta forskningsfokus ligger på implementation av signalbehandlingsalgoritmer och aritmetik i hårdvara. Jag har studerat hårvaruimplementation av matrixinvertering, och arbetar för närvarande vidare med detta i anslutning till den möjliga tillämpning som detta kan ha i kommunikationssytem som använder MIMO, alltså flera antenner för sändning och mottagning. Jag har också studerat mappningen av hårdvaruarchitecturer mot FPGA-kretsar. Show/hide links to additional information. Carl Ingemarsson, Oscar Gustafsson, "SFF—The Single-Stream FPGA-Optimized Feedforward FFT Hardware Architecture", Journal of Signal Processing Systems, 90(11): 1583-1592, 2018. In this paper, a fast Fourier transform (FFT) hardware architecture optimized for field-programmable gate-arrays (FPGAs) is proposed. We refer to this as the single-stream FPGA-optimized feedforward (SFF) architecture. By using a stage that trades adders for shift registers as compared with the single-path delay feedback (SDF) architecture the efficient implementation of short shift registers in Xilinx FPGAs can be exploited. Moreover, this stage can be combined with ordinary or optimized SDF stages such that adders are only traded for shift registers when beneficial. The resulting structures are well-suited for FPGA implementation, especially when efficient implementation of short shift registers is available. This holds for at least contemporary Xilinx FPGAs. The results show that the proposed architectures improve on the current state of the art. Carl Ingemarsson, Petter Källström, Fahad Qureshi, Oscar Gustafsson, "Efficient FPGA Mapping of Pipeline SDF FFT Cores", IEEE Transactions on Very Large Scale Integration (vlsi) Systems, 25(9): 2486-2497, 2017. In this paper, an efficient mapping of the pipeline single-path delay feedback (SDF) fast Fourier transform (FFT) architecture to field-programmable gate arrays (FPGAs) is proposed. By considering the architectural features of the target FPGA, significantly better implementation results are obtained. This is illustrated by mapping an R22SDF 1024-point FFT core toward both Xilinx Virtex-4 and Virtex-6 devices. The optimized FPGA mapping is explored in detail. Algorithmic transformations that allow a better mapping are proposed, resulting in implementation achievements that by far outperforms earlier published work. For Virtex-4, the results show a 350% increase in throughput per slice and 25% reduction in block RAM (BRAM) use, with the same amount of DSP48 resources, compared with the best earlier published result. The resulting Virtex-6 design sees even larger increases in throughput per slice compared with Xilinx FFT IP core, using half as many DSP48E1 blocks and less BRAM resources. The results clearly show that the FPGA mapping is crucial, not only the architecture and algorithm choices. Oscar Gustafsson, Erik Bertilsson, Johannes Klasson, Carl Ingemarsson, "Approximate Neumann Series or Exact Matrix Inversion for Massive MIMO? (Invited Paper)", IEEE Symposium on Computer Arithmetic, Proceedings Symposium on Computer Arithmetic, 62-63, 2017. Approximate matrix inversion based on Neumann series has seen a recent increased interest motivated by massive MIMO systems. There, the matrices are in many cases diagonally dominant, and, hence, a reasonable approximation can be obtained within a few iterations of a Neumann series. In this work, we clarify that the complexity of exact methods are about the same as when three terms are used for the Neumann series, so in this case, the complexity is not lower as often claimed. The second common argument for Neumann series approximation, higher parallelism, is indeed correct. However, in most current practical use cases, such a high degree of parallelism is not required to obtain a low latency realization. Hence, we conclude that a careful evaluation, based on accuracy and latency requirements must be performed and that exact matrix inversion is in fact viable in many more cases than the current literature claims. Carl Ingemarsson, Oscar Gustafsson, "Hardware Architecture for Positive Definite Matrix Inversion Based on LDL Decomposition and Back-Substitution", 2016 50TH ASILOMAR CONFERENCE ON SIGNALS, SYSTEMS AND COMPUTERS, Conference Record of the Asilomar Conference on Signals Systems and Computers, 859-863, 2016. In this paper we propose an efficient hardware architecture for computation of matrix inversion of positive definite matrices. The algorithm chosen is LDL decomposition followed directly by equation system solving using back substitution. The architecture combines a high throughput with an efficient utilization of its hardware units. We also report FPGA implementation results that show that the architecture is well tailored for implementation in real-time applications. 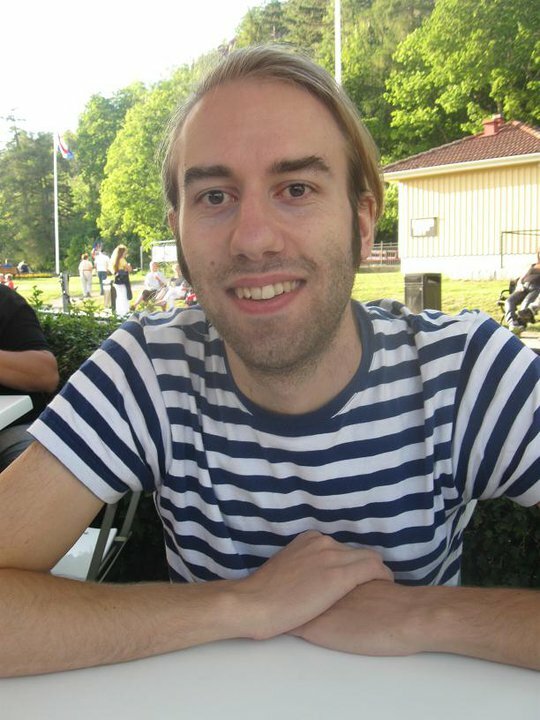 Carl Ingemarsson, Oscar Gustafsson, "On fixed-point implementation of symmetric matrix inversion", Proceedings of the European Conference on Circuit Theory and Design (ECCTD), 440-443, 2015. In this work we explore the trade-offs between established algorithms for symmetric matrix inversion for fixed-point hardware implementation. Inversion of symmetric positive definite matrices finds applications in many areas, e.g. in MIMO detection and adaptive filtering. We explore computational complexity and show simulation results where numerical properties are analyzed. We show that LDLT decomposition combined with equation system solving are the most promising algorithm for fixed-point hardware implementation. We further show that simply counting the number of operations does not establish a valid comparison between the algorithms as the required word lengths differ significantly. Carl Ingemarsson, Oscar Gustafsson, "On fixed-point implementation of symmetric matrix inversion", Proceedings of the European Conference on Circuit Theory and Design (ECCTD), 1-4, 2015. Carl Ingemarsson, Petter Källström, Oscar Gustafsson, "Using DSP block pre-adders in pipeline SDF FFT implementations in contemporary FPGAs", 22nd International Conference on Field Programmable Logic and Applications (FPL), 71-74, 2012. Many contemporary FPGAs have introduced a pre-adder before the hard multipliers, primarily aimed at linear-phase FIR filters. In this work, structural modifications are proposed with the aim of reducing the LUT resource utilization and, finally, using the pre-adder for implementing single path delay feedback pipeline FFTs. The results show that two thirds of the LUT resources can be saved when the pre-adder has bypass functionality, as in the Xilinx 6 and 7 series, compared to a direct mapping. Carl Ingemarsson, Oscar Gustafsson, "Finite wordlength properties of matrix inversion algorithms in fixed-point and logarithmic number system", 2011 20th European Conference on Circuit Theory and Design (ECCTD), 673-676, 2011. Matrix inversion is sensitive towards the number representation used. In this paper simulations of matrix inversion with numbers represented in the fixed-point and logarithmic number systems (LNS) are presented. A software framework has been implemented to allow extensive simulation of finite wordlength matrix inversion. Six different algorithms have been used and results on matrix condition number, wordlength, and to some extent matrix size are presented. The simulations among other things show that the wordlength requirements differ significantly between different algorithms in both fixed-point and LNS representations. The results can be used as a starting point for a matrix inversion hardware implementation. Carl Ingemarsson, Oscar Gustafsson, "On Using the Logarithmic Number System for Finite Wordlength Matrix Inversion", The 54th IEEE International Midwest Symposium on Circuits and Systems, Midwest Symposium on Circuits and Systems. Conference Proceedings, 1-4, 2011. Matrix inversion is a key operation in for instance adaptivefilters and MIMO communication system receivers. For ill-conditionedchannel matrices long wordlengths are required for fixed-point implementationof matrix inversion. In this work, the wordlength/error tradeoffsfor matrix inversion using different algorithms with fixed-point andlogarithmic number systems (LNS) are considered. LNS provides higherresolution for small numbers and a larger dynamic range. Also, it willalter the cost of the basic operations in the algorithms. The results showthat also the wordlength required to achieve a comparable error differsignificantly between different algorithms and for most algorithms isreduced for LNS compared to fixed-point. The publication list is extracted from the DiVA - Academic Archive Online - publishing system. The extraction software is developed by Johan Wiklund. B-house, room nr 3B:543 (karta).